Join Elmo and Zoe on an alphabet adventure at the Sesame Street Zoo! Play fun mini-games and learn all about the alphabet with Elmo, Zoe, and your animal friends! • Elmo’s A-to-Zoo Adventure encourages literacy skills, including letter identification, letter sounds, and word families, through engaging and fun mini-games. • Explore exciting Zoo habitats including the Aquarium, Savanna, Jungle, Forest and the Arctic. • Easy to follow audio-visual directions that preschoolers can master on their own. • Game difficulty adapts to your child’s level. • Customize up to four profiles, set functions including difficulty level and game limits, and review the games and educational content your child has played on the Parent's Page. • Wii and Nintendo DS versions include Gameplay Helpers to simplify gameplay for your preschooler. The princess and B have been long time fans of Sesame Street, so I knew the princess would love the new Sesame Street: Elmo's to Zoo Adventure for Wii.....and I was right! She has been learning her ABC's for the past few months, and now were working on sounds that the letter's make and other fundamental basics so we can start to work on reading.....and this game is the perfect for adding some FUN into the learning process! She loves that Elmo is guiding her trough the game and the game is absolutely perfect for her age! Elmo's A to Zoo Adventure offers so many different options for game play - each customizable to your child's level of learning. Wait! There's more! Not only does she have the opportunity to learn about the Alphabet and letter sounds; she has had a blast learning about different animals and their habitats! 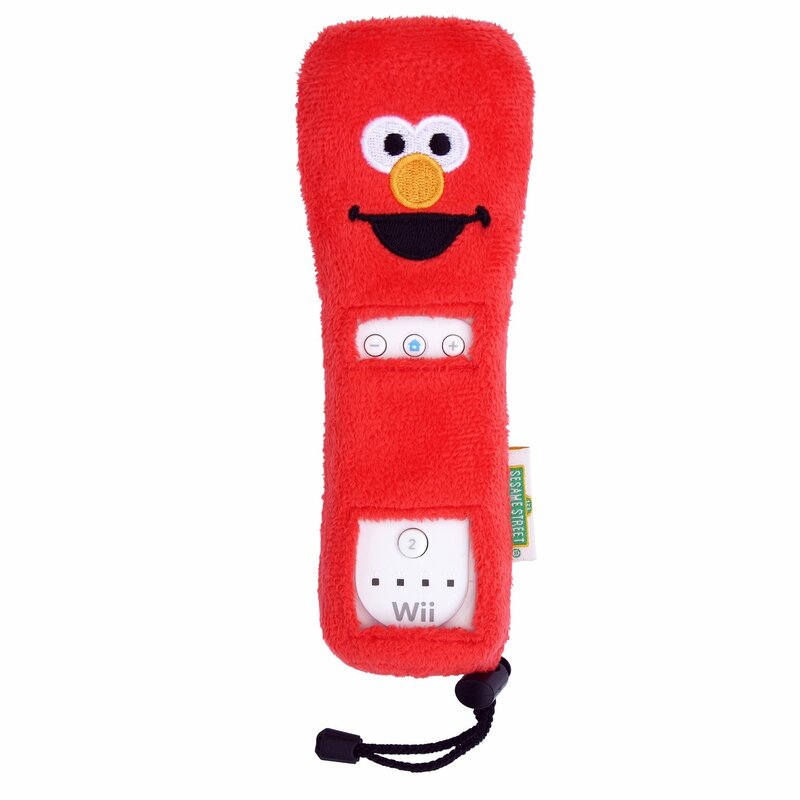 The included Elmo "remote helper" is not only adorable, it has helped her understand the Wii remote (or merote as she likes to call it.....ahh I love the toddler language ;) and the button functions better. Elmo's A to Zoo Adventure has become a fast favorite in our house! I can't say enough great things about this game! PERFECT for ages 4-6! Elmo's A to Zoo Adventure would make a great Holiday Gift / Stocking Stuffer! Learning FUN! One Lucky Reader will receive a copy of Sesame Street: Elmo's A to Zoo Adventure: Nintendo Wii (with Elmo Remote Helper Cover pictured Above)! Leave a comment~ Let me know another WB Interactive Entertainment Game you would love to gift or receive this Holiday Season. The comment is considered your entry. 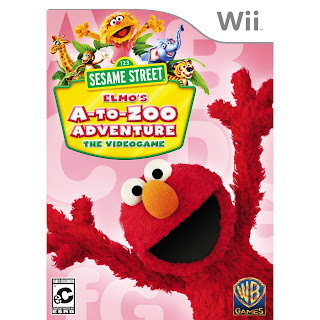 2) Tweet ~ #WIN Sesame Street: Elmo's A to Zoo Adventures: Nintendo Wii @savvycouponmom http://bit.ly/g4dNYC #GIVEAWAY #Wii (can be repeated twice daily for additional entries~ copy paste please~cut and paste- the bit link must be posted in the tweet - I will check) (Additional 5 Entries - 5 Comments). Entry to this giveaway ends at 12pm PST January 22, 2011. Winner's are chosen randomly through random.org. The winner will be announced in a post within 7 days of the giveaway ending, and contacted through email. The winner will have 48 hrs. to respond or another winner will be chosen. My oldest loves Harry Potter, so the Harry Potter Wii Game would be something I would like to get!! I'd like to gift Scooby-Doo and the Spooky Swamp Videogame! I would love to be able to give my son the Lego Harry Potter he is obcessed with both. I'd like to gift Cookie's Counting Carnival. We would love the new Batman Game they have. The galactic Taz Ball looks like a fun game - although I think this Elmo game would be my top pick! 1. I'm subscribed via RSS on my yahoo! 2. I'm subscribed via RSS on my yahoo! 3. I'm subscribed via RSS on my yahoo! 4. I'm subscribed via RSS on my yahoo! 5. I'm subscribed via RSS on my yahoo! 1. I've entered the Ultra Flip HD giveaway! 2. I've entered the Ultra Flip HD giveaway! 13. I've entered the Ultra Flip HD giveaway! 4. I've entered the Ultra Flip HD giveaway! 5. I've entered the Ultra Flip HD giveaway! The Super Scribblenauts game looks awesome! I entered the Gourmet Gift Baskets giveaway. I entered the Alphie Giveaway. I entered the Flip giveaway. I have the HOliday button. I like Warner Bros. Entertainment on FB - Cari S.
I know I would love a Harry POtter wii game! thanks! I follow you on twitter (momofthreeunder) thanks! I subscribe via feed, thanks! I subscribe to your newsletter, thanks!